A woman arrested on voter fraud charges just two weeks ago was arrested again Friday afternoon on new charges. 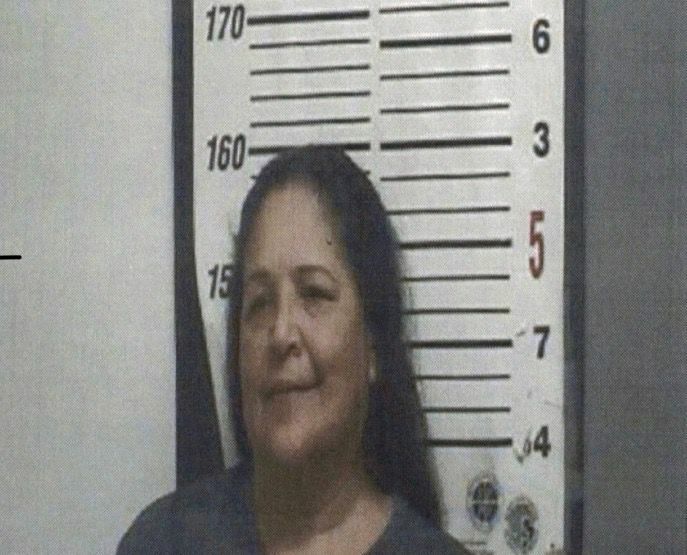 Modesta Vela, 60, was arrested Friday afternoon at the nonprofit food pantry in Roma, confirmed Brenda Lee, spokesperson for the Starr County Special Crimes Unit. SCU investigators served Vela with four arrest warrants related to voter fraud, Lee said, which 229th District Attorney Omar Escobar clarified were for charges of tampering with a government record. Escobar said those records, in this case, referred to voter registration applications. A bond of $15,000 was set for each count. The arrest was a result of a complaint filed with the Starr County Elections Administration, which Escobar said was then forwarded to his office. Investigators from the DA’s office previously arrested Vela on Oct. 4 on charges of illegal voting, knowingly possessing a ballot or ballot envelope of another person with the intent to defraud, and election fraud, in addition to a misdemeanor unlawful assistance of a voter charge. Vela was released on bond later that evening. Escobar noted that Vela had assisted over 200 voters with their mail-in ballots earlier this year, a matter he said was still under investigation. Vela’s attorney, J.M. “Chuy” Alvarez, said he could not comment at this time as he did not have enough information.